Making complicated organic molecules is like solving a Rubik's cube. Organic chemists need to design sequences of reactions to carefully build up parts of a molecule, while maintaining the structure at other sites. Although chemists have developed many ingenious ways of performing chemical transformations, some chemical reactions remain out of reach. 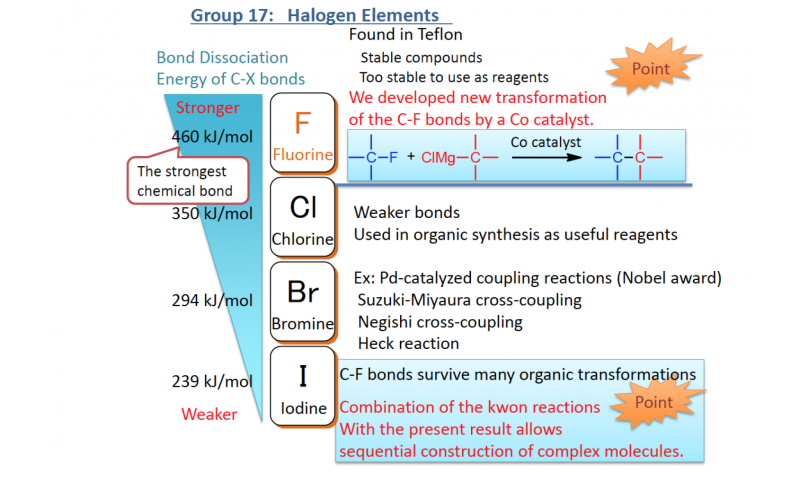 At Osaka University, a team of organic chemists has now developed and enhanced a chemical reaction that allows controlled transformations of one of the toughest chemical bonds. 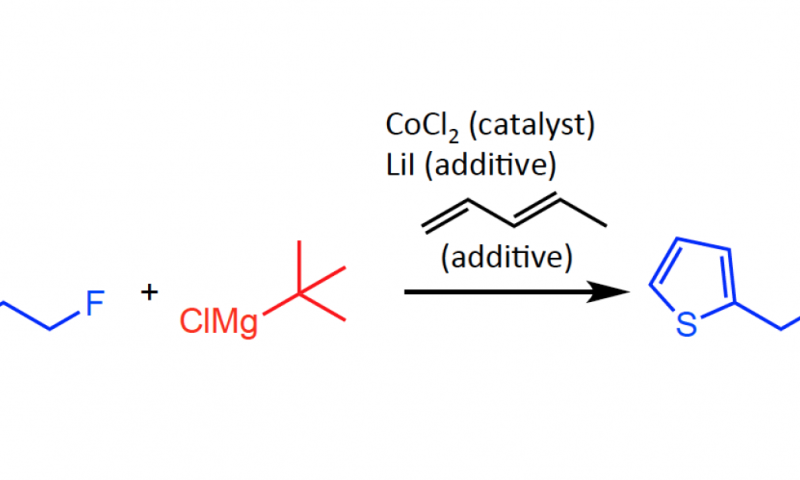 "We previously developed a cobalt-catalyzed Grignard reaction for making hindered quaternary carbon centers. But that reaction also showed potential for modifying carbon-fluorine bonds. 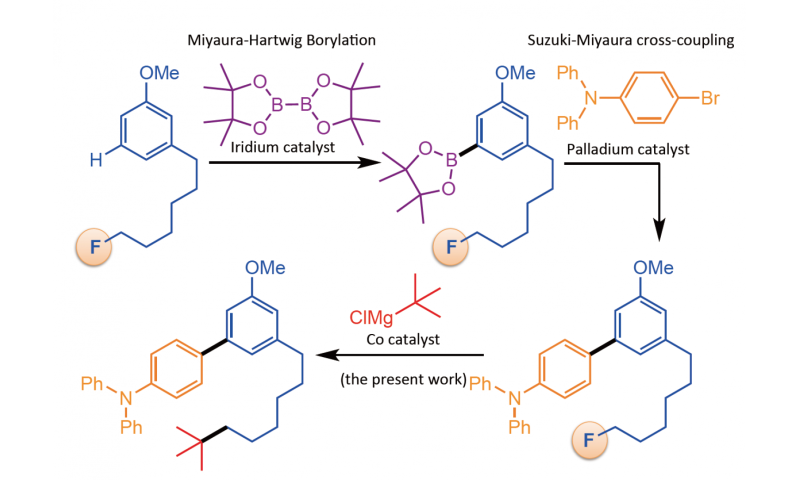 We tried many different additives and eventually found one that let us selectively build the same quaternary carbon-carbon bonds at carbon-fluorine sites," says first author Takanori Iwasaki. "We have shown that this reaction is a very useful tool for sequentially changing parts of a molecule with great control," says group leader Nobuaki Kambe. "Our control over the chemistry of carbon-fluorine bonds should enable much more synthetic freedom for building complex carbon structures."